Free Shipping on orders over $499 to all major centres. T’s & C’s apply. Hole in the Ozone and erratic weather? No problem! Visit our Auckland Showroom to try them out yourself! We independently source and import only the highest quality sun loungers, chaise loungers & garden relciners. That’s how we came across our Italian supplier, Nardi. 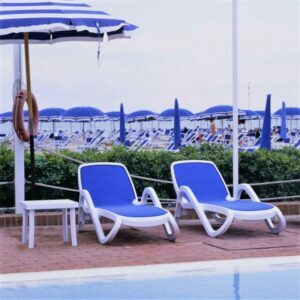 Nardi’s Sun Loungers and outdoor furniture are trusted the world over, featuring in major hotel chains and on the decks of huge cruise ships. All these resin garden loungers are made of UV and atmospheric pollutant resistant plastic & fiberglass resin that is 100% recyclable. This material is durable and all weather, even in commercial settings these sun loungers and garden recliners will deliver years of service. We have no doubt that these are NZ’s best sun loungers for sale. You’ll fall in love with the comfort and style these sun beds will deliver to your garden or pool setting. 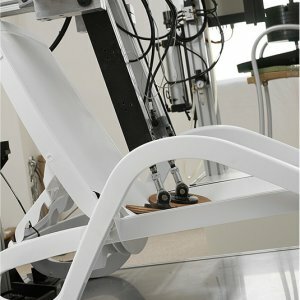 Non-slip feet comprised of rubber, and roller wheels for the sun lounger to be tilted and transported with ease. 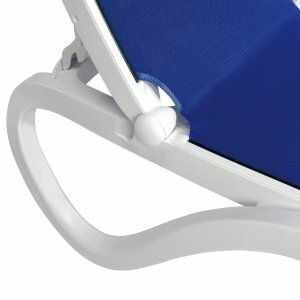 Used and trusted world wide extensively on cruise liners and in luxury hotels, these Sun Loungers have made a name for themselves through an unbeatable reputation for style, comfort, and durability. Since 2012 ByDezign has been the NZ agent for the manufacturer, Nardi Garden. Cut out the middleman, buy directly from the importer and receive a full 2-year commercial warranty. Are you looking for style, comfort, quality and longevity? A commercial and residential Sun Lounger solution, trusted worldwide in hotel, cruise ship and other heavy use commercial environments – now available in NZ to everyone. Manufactured with top grade fiberglass and polypropylene resin with UV resistant properties which keeps the harsh NZ sun at bay. Our Italian made and designed outdoor loungers deliver years of resilience to the elements and to intensive use in both hospitality and domestic environments. Our premium Italian supplier, Nardi, crosses top of the range manufacturing materials with aesthetic contemporary European styles. Nardi have seen success the world over, making a name for themselves in the commercial standard outdoor furniture game since 1990. Continuous research, design and improvement are at the heart of their core mission and can be attributed to their meteoric rise to the top. 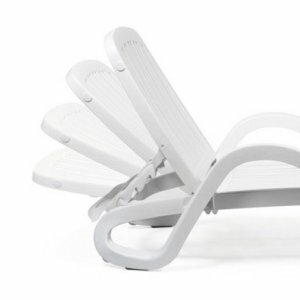 To see more loungers check out their entire Flat Bed Sun Lounger Range. For other Nardi manufactured items see our Outdoor Furniture range. 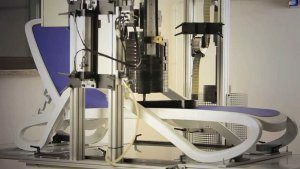 All our sun loungers are tested by third-party engineering firm CATAS laboratories to forces of 200N, the equivalent of 204kg+ of downward force. Nardi’s own internal lab has tested the flat bed frames to 500kg+. 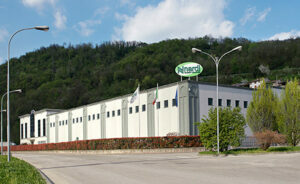 The Nardi manufacturing facility in North Italy adheres to European Quality Assurance ISO 9001 standards. These strict quality management standards allow hotel purchasing managers & residential consumers alike to sleep at night with ease. Why buy Nardi Sun Loungers? While the initial investment of Nardi sun loungers is higher than that of inferior quality product, they certainly pay their way over time. 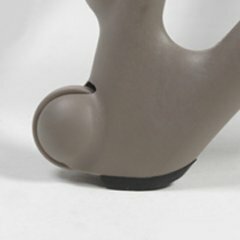 Cheaper alternative sun chairs will go brittle, gather mold and fade over unacceptable periods of time. Nardi Sun Loungers all carry 2-year warranties for use in a commercial environments. 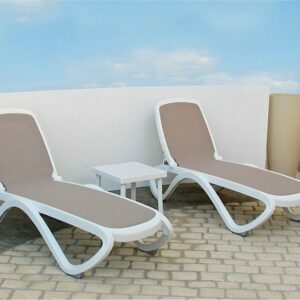 This should provide serious peace of mind for residential customers alike, as these garden reclining sun loungers will be used more in a 2 year period in one of these high use environments than they’d likely be used in 20 years at home in your garden. Making the mistake of opting for a cheaper substitute could prove costly immediately, or just a bit down the line. Nardi loungers are the best sun loungers available for sale in New Zealand and will not let you down. The high-end resin is batch-dyed and treated with an anti ultra-violet (UV) agent, this translates to product colours remaining unchanged and bright even when they are exposed to atmospheric pollutants and salty sea air (saline) conditions for extended periods of time. All Garden recliners / Sun loungers are lightweight and easy to clean, non-toxic and anti static. All their patio loungers are made of 100% recyclable materials. Nardi’s local sourcing of materials allows for perfect control over the quality of every sun lounger. Nardi has been manufacturing outdoor furniture and garden recliners since 1990. Their success has been through hard work – constantly researching and designing to improve and provide an innovative range of products. These efforts have not gone unrewarded. 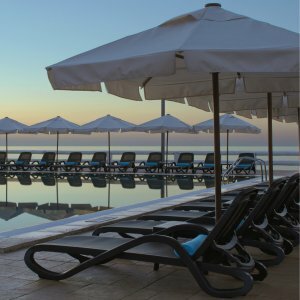 The unparalleled prestige and popularity of their outdoor furniture means their products are sought after worldwide in commercial environments such as hotels, cruise ships / cruise liners, at beaches, swimming pools and golf courses to name a few. The majority of Nardi’s business is achieved abroad (70%). The company does business in 5 continents. These include major markets such as the USA, Australia, Russia, China, Mexico & Latin America. Smaller islands that tend to be major holiday & tourist destinations such as Aruba, Anguilla, Grenada, Jamaica, Martinique, Guadeloupe, Trinidad & Tobago, Antigua & Barbuda, St Lucia, Turks & Caicos, Saint Barth’s. New Zealand falls somewhere in between.